...are turning. It is almost as if they have a calendar and know that summer is over and fall is upon us. Today is Labor Day so I guess the date is right. I have lived in here for forty years and it seems as if the very best time to view the Aspen is normally around September 15. Of course it has a lot to do with the weather and the altitude. They turn sooner high up due to colder temperatures and sometimes stay yellow into October in the deep canyons. Another sad thing is that some years the wind will come up and in one day all the leaves are gone. You can never really tell. The other interesting thing is how the yellow some years is more yellow than other years. One theory is that it has to do with the amount of moisture in the ground. A dry year produces a more dull yellow color while a wet year produces a bright yellow. Of course I do not have a clue about either and I am just repeating another Old Wive's Tale of the Colorado High Country. 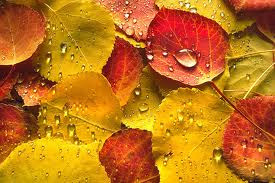 For the most part the mountains only have one broad leaf tree and that is the Aspen. Lots of different kinds of pine but they stay green. Or brown in the case of the Pine Beetle dead trees. Speaking of Old Wive's Tales of the Colorado High Country...the other day I ran into a friend who is in the property management business. He was beside himself because someone had told him that because of our wet summer we were going to have record snow fall this winter. I have to laugh. In my time none of the portends of heavy snow have come true. I have seen heavy snow in the fall and then no more for the rest of the winter. I have seen no snow in the winter and then right after the ski areas close on April 15 we will get six weeks of the heaviest snow ever. There are only two things that are always true. Number one is that it will snow. Number two is that it won't snow. Take your pick.